The MAC Superior Series 6.5-inch Heavy Santoku Knife is your all-purpose slicing and dicing knife which features a 3.0-mm thick blade at the spine. 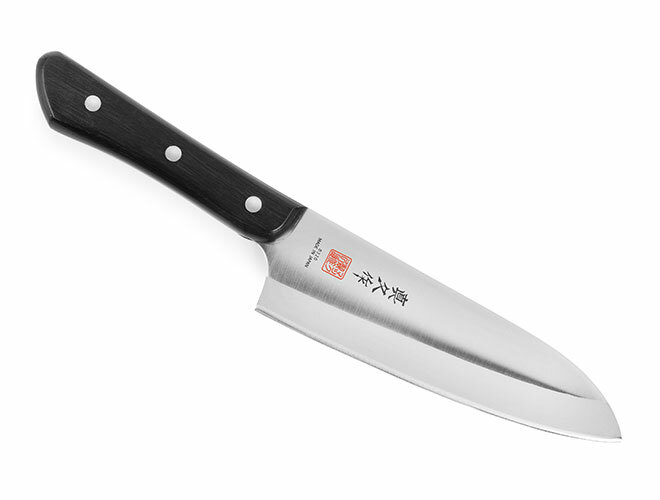 This knife is much like a Santoku Knife, with its perfect shape for slicing, dicing and mincing while it also acts as a heavy duty chef's knife with power to slice and disjoint large cuts of meats that may contain bones or hard shells. 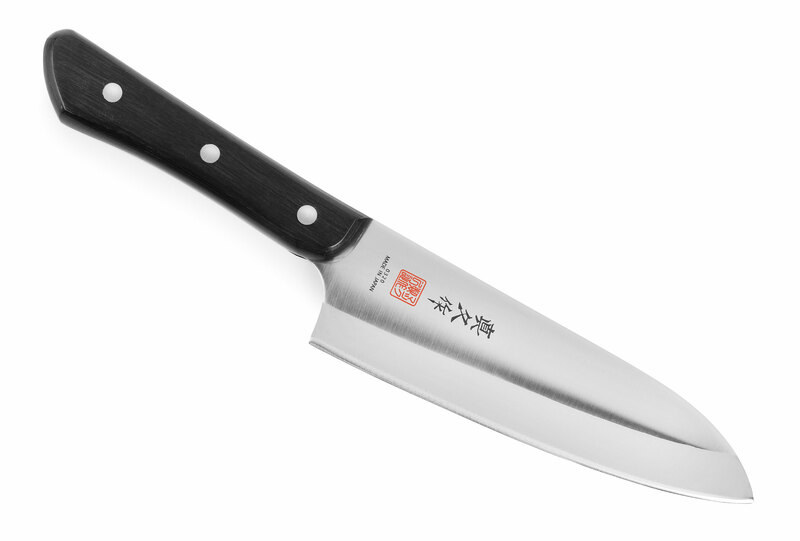 The razor-sharp blade is made of extra-hard high-carbon Molybdenum Vanadium alloy, making it harder, sharper and more durable than other Japanese Knives. Mac Superior Series knives go through an additional forging process, called Sub-Zero Tempering, producing a blade with excellent edge retention. The ergonomic Pakkawood Handles are specially shaped for extra clearance while cutting, making them much easier to grip and handle. The MAC knives, which are manufactured in Japan, were first created over 40 years ago and are known for their long-lasting sharpness.